There are the quantifiable patterns of small things we do everyday: steps walked, time spent on the computer, amount of sleep, calories ingested, mood, heart rate and weight are just some of the metrics that are easy to capture using high-tech gadgets and tech-savvy websites. And in some way these haphazard actions shape humanity; they add to our unique nature. This was the inspiration for Laurie Frick's upcoming collection 'Self-Quantifying Patterns', where neuroscience meets art, the clinical meets the imaginative, and the system meets chance. Frick began measuring her daily actions at Quantified Self, a website where people can self-track their experiences. There is a calculus to measuring our actions, and Frick's work begins to ask the hard questions to determine exactly why this is. Her images appear both digital and organic, querying: Do we make our quantifiable patterns or do they make us? As the quantitative becomes qualitative, does this division even stand? The collection is, above all, colorful and completely immersive, independent of its personal nature. 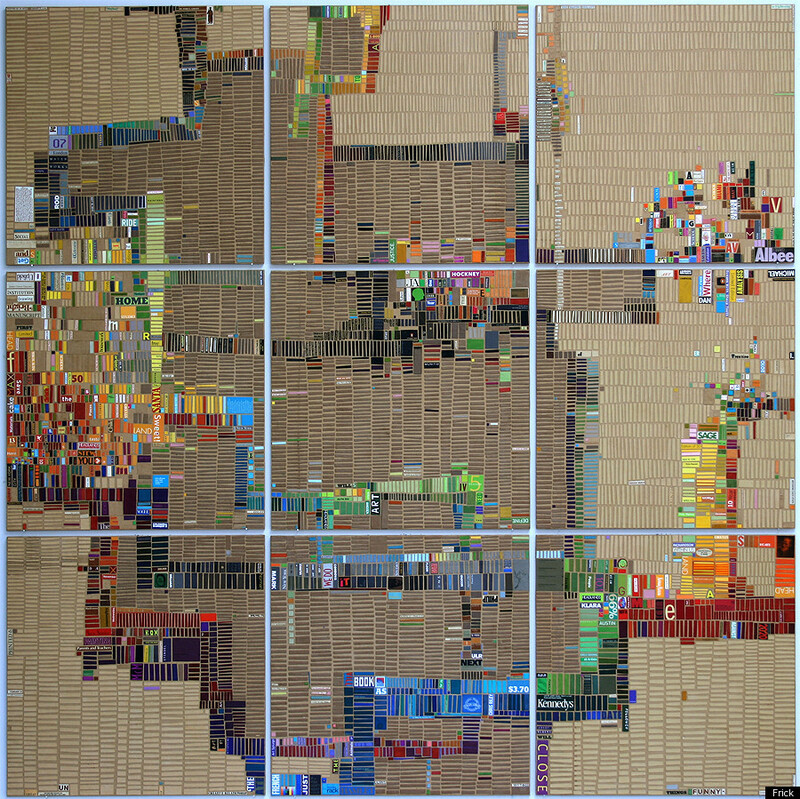 Overall, the images are abstract and yet they function as almost a text-book depiction of data. The combo presents an explosive marriage of number and image, of science and art. Frick's work will show at Edward Cella Art & Architecture at 6018 Wilshire Blvd. Los Angeles, CA 90036 from February 11 to March 31, 2012. Laurie Frick, Green Tracking Time | Cut found paper on panels, 24" x 72", 2010. Courtesy of the artist.